Figure 26. Gear Shifting Solenoid Installation. Figure 28. Fuel Supply Check Valve Installation. 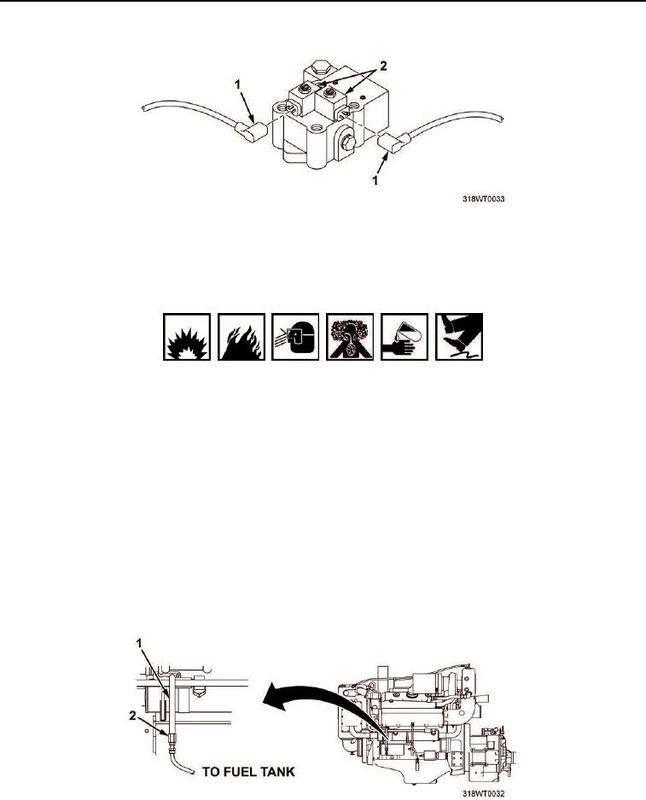 Remove twine securing fuel pump return line (Figure 27, Item 1) to engine. on lines (Figure 27, Items 1 and 2). Figure 27. Fuel Pump Return Line Installation.